Werner and Sandra Schroer live in Broken Hill, New South Wales, Australia (around 400km NE of Adelaide and 750 km NW of Melbourne for those less familiar with the geography of Australia). They have collected most of the Australites shown (apart from the perfect flanged button and oval shaped button). Good luck in finding some buttons in the future! Not all tektites are perfect, but collecting a representative assemblage from a single location holds great scientific value. To understand the formation event you need all the evidence, not just the top 1% of specimens. 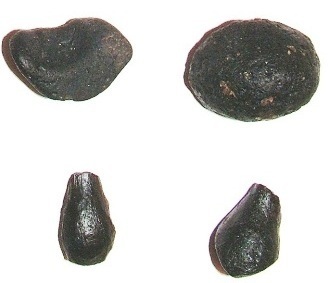 ABOVE: These tektites were collected by Werner and Sandra Schroer. I am presuming these come from the Broken Hill area. This is just a selection of a few of the nicer specimens from the collection. Perfect, unbroken button Australites are exceedingly rare. It takes a lot of luck and good preservational circumstances to find one. 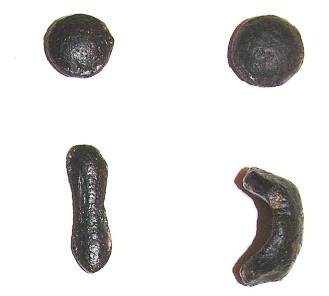 A typical diameter would be 21 mm and about 4 grams in weight. Rarely they can be slightly larger. 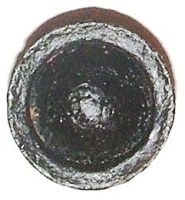 ABOVE: This flanged button was purchased and came from the Flinders Ranges. 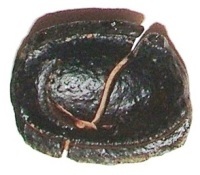 ABOVE: This flanged oval was purchased and came from the Flinders Ranges. ABOVE: A nice selection of Indochinites from the proximal part of the Australasian Strewn Field. Thanks for sharing your tektite collection with us!